Her married name became Howard. After her marriage, Mary Eleanor Lauderdale Coventry was styled as Countess of Suffolk on 14 August 1876. From 18 September 1873, her married name became Howard. From 10 August 1882, her married name became Buller. Child of Lady Audrey Jane Charlotte Townshend and General Rt. Hon. Sir Redvers Henry Buller, V.C. General Rt. Hon. 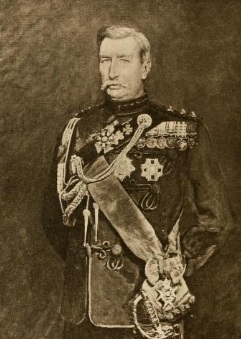 Sir Redvers Henry Buller, V.C. [S227] Max Arthur, Symbol of Courage: The men behind the medal (London, U.K.: Pan Books, 2004), page 635. Hereinafter cited as Symbol of Courage. [S227] Max Arthur, Symbol of Courage, page 128.